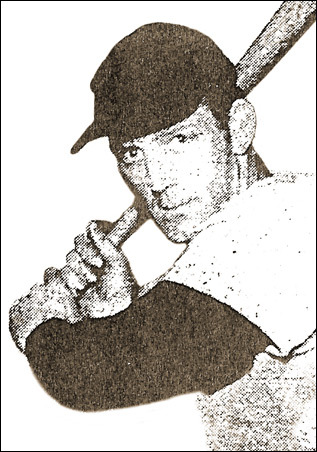 Left - Johnny Koppa of the Duncan Athletics helped the club to the Vancouver Island Senior Baseball championship tossing a three-hitter to down the Victoria Chinooks. Right - Duncan's triple threat, Ken Cessford. The versatile player has exhibited his prowess in hitting, fielding and pitching. In one stretch he was the winning pitcher in all three games and helped the offense with a pair of home runs. In a double-header against Campbell River, Cessford went six for seven. 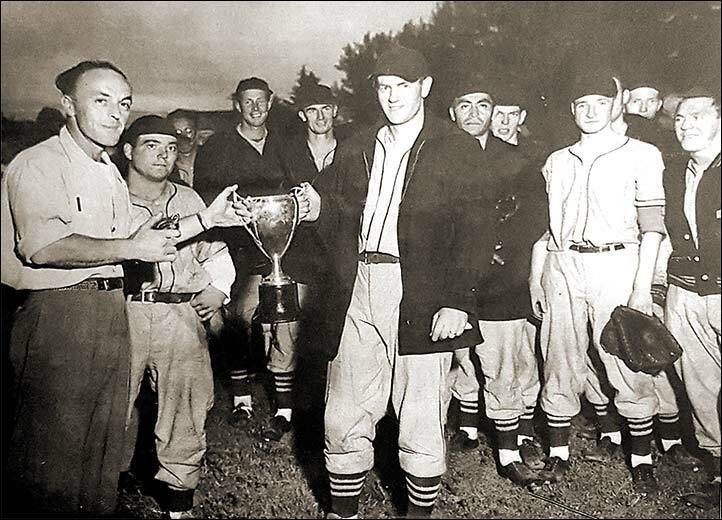 Cessford was particularly good in the playoffs with seven mound victories. On the season, the right-hander went 12-0. 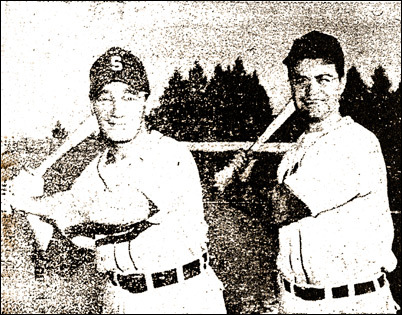 A pair of "old pros" helped bolster the Duncan attack against Victoria in the provincial championship series, Roy Schappert (left) and Joe Gergel. 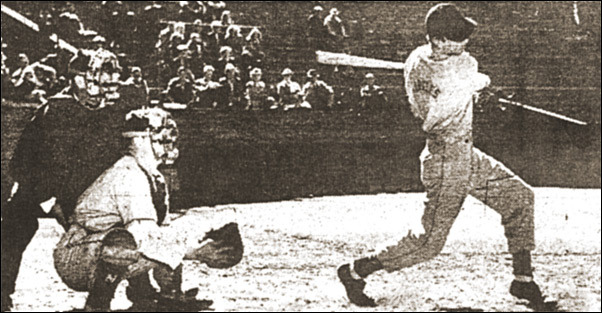 At Royal Athletic Park in Victoria, Bob Fowler of the Victoria Eagles takes a big cut at a pitch from lefty Don McKinnon of the Chinooks. Catcher is Al Kubicek and Roy Snider is the umpire.